Rhinestone and pearl hairpins. 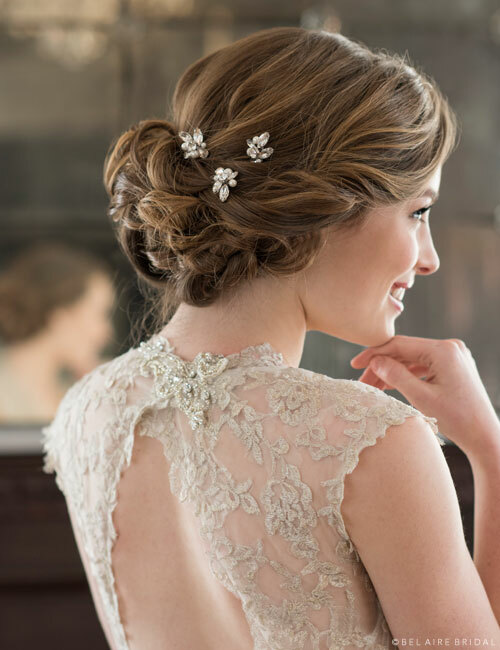 Touch up your bridal chignon with graceful rhinestone and pearl hairpins. This lovely little trio features marquise rhinestones and lustrous pearl accents. Add sparkle to your hair or dress up your bridesmaids! Sold as a set of three. Categories: Accessories, Hair Accessories, Hairpins.